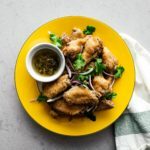 Light, crisp, sweet, salty, and addictive, you won't believe these Vietnamese chicken wings came out of an air fryer. 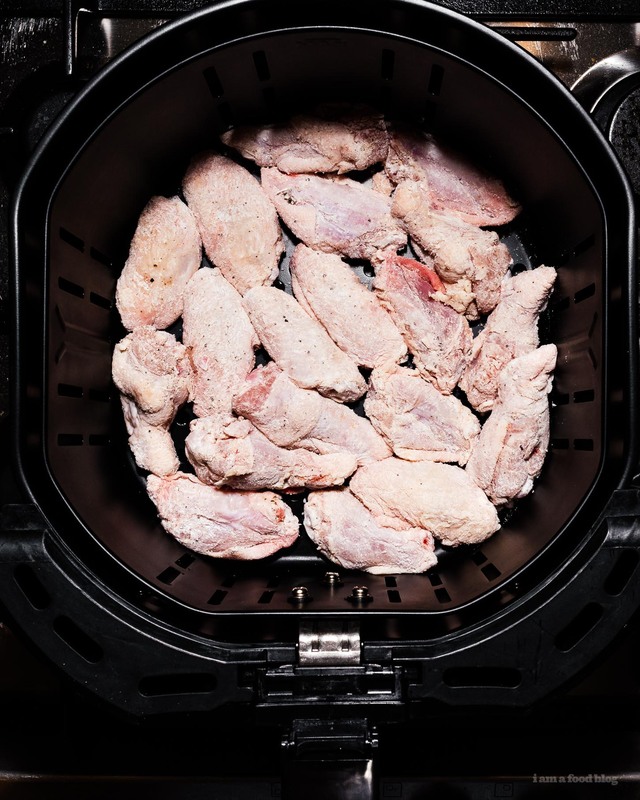 If you’ve be interested in making an air fryer chicken wings and have been on the fence about it, I’m here to tell you: do it. They ended up crispy and perfectly cooked. We demolished these in 10 minutes flat. They were so good. Ever since we got our air fryer, I’ve been wanting to make chicken wings and just 30 minutes ago, we did it! Mike made these since I’m still suffering from RSI. I’m still using dictation so if this looks weird, you know why. Anyway, I went with a combination of cornstarch and potato starch for the ultimate crispiness, but if you only have cornstarch, that works too. 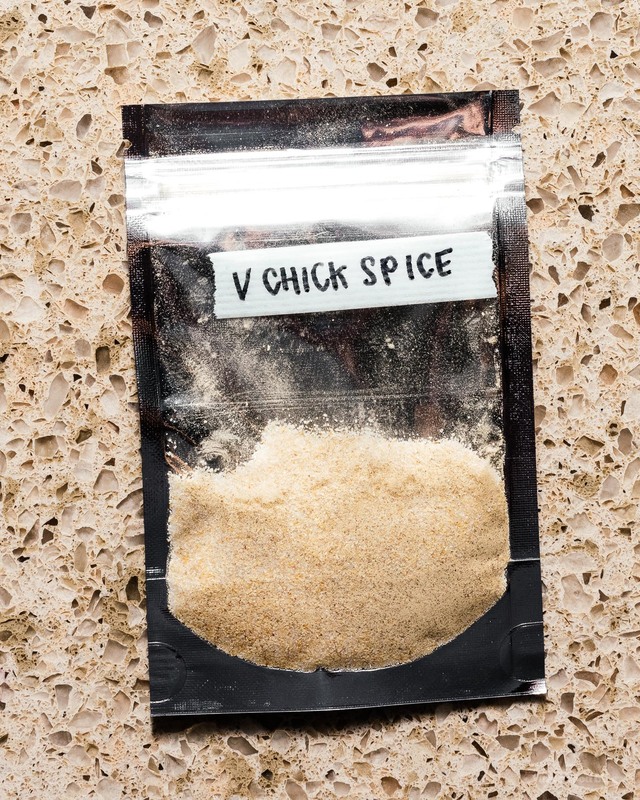 The genius of this recipe is the spice mix, which Mike came up with. It’s garlic-y and savory and just a hint sweet and really addictive. 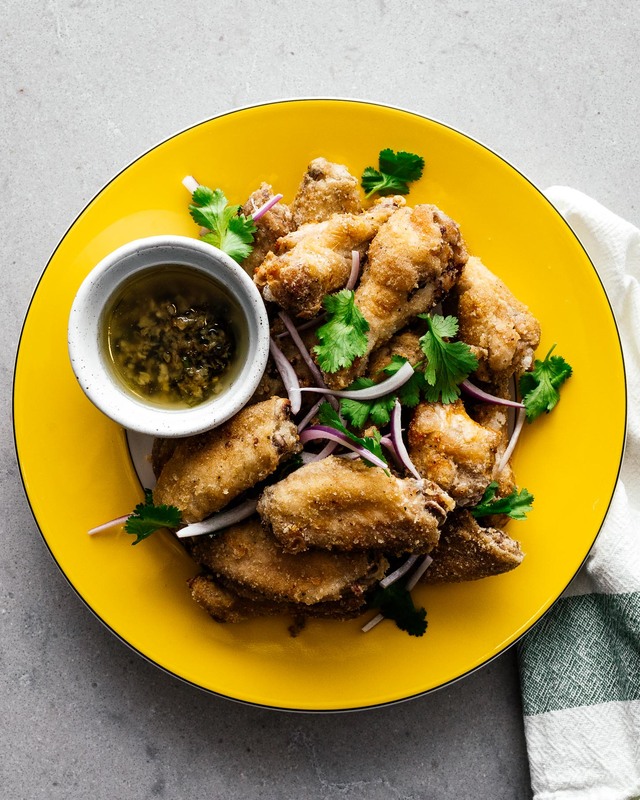 Make these wings, you won’t regret it! Pat the wings dry with paper towels season with salt and pepper. Put in a bag with cornstarch and potato starch. Shake to coat. Place in the basket of the air fryer being sure not to crowd. Cook at 400°F for 15 minutes. Flip the wings and cook for another five minutes at 400°F. 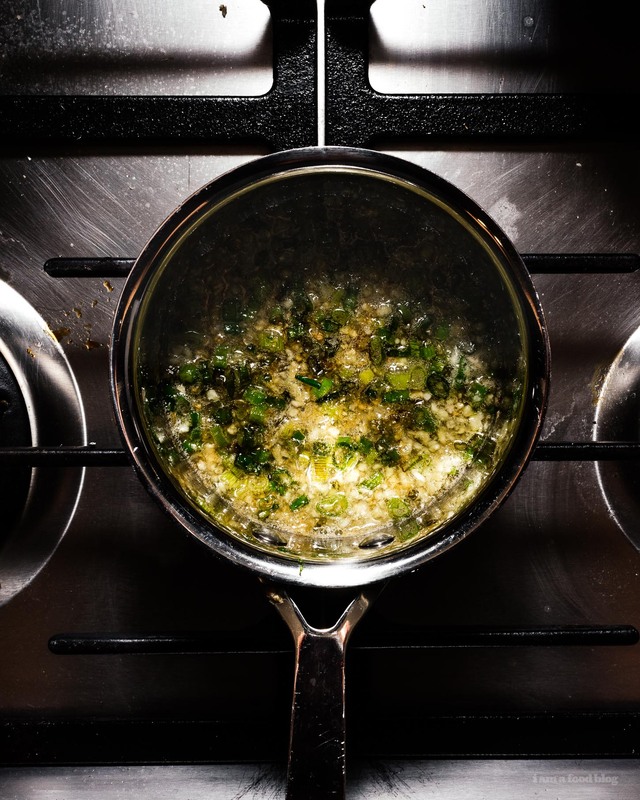 While the wings are cooking, make the green onion sauce. In a small pot, combine the oil, garlic, and green onions. Cook over low heat for five minutes. Stir in the fish sauce and set aside. When the wings are done, toss with the spice mix. Serve with the green onion sauce, sliced red onions, and cilantro. 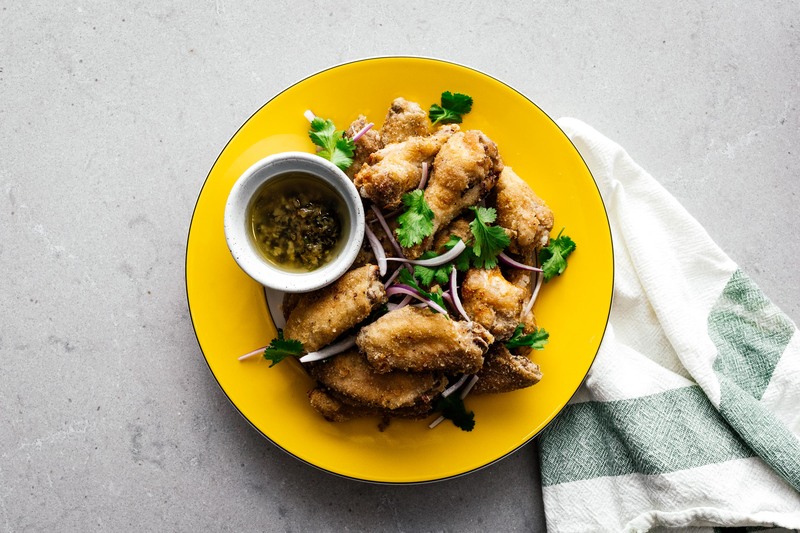 Never had Vietnamese chicken wings, definitely gonna try and make them now thanks! Can I use the convection setting on our regular oven instead of an air fryer? We just don’t have the space for another countertop appliance. 1) Not sure why but my sauce had very little liquid unlike your photo, even though I followed the recipe. Should I be adding more oil and/or fish sauce? 2) The sugar in the spice mix is the first thing I taste on the chicken, is this supposed to be the case? 1. you can definitely add a bit more oil! how much liquid comes out of the green onions can really differ, so that’s probably what the main difference you’re seeing.